One of the best hostels I've stayed at. Very nice staff and everything was well taken care of. This was one of the best hostel experiences ever! Located in the middle of the fairytale, the old interier design really adds up to the atmosphere. It was very calming and chill. The bedrooms are great and huge lockers as well. There is free breakfast and delicious lemonade available as well. Staff is very lovely and the other travellers were very nice as well. Location is superb and there's also a nice back garden which would be perfect if it would be warmer. Really recommend this gem! This is probably the most beautiful hostel in which I've stayed. The inside and outside looks incredible. The beds are amazingly comfortable. The breakfast is unrivalled. The two ladies who worked at the reception were always super kind and helpful with whatever I needed. 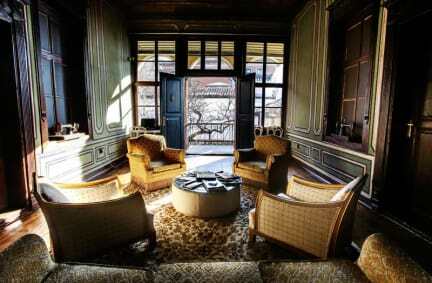 This is the only place to stay if you go to Plovdiv. Lovely place. Very kind and helpful staff, family atmosphere, and beautiful building. Excellent hostel! Extremely comfortable beds in very spacious rooms with huge lockers. Staff are all friendly and helpful with a very generous breakfast included. Best hostel in Bulgaria! One of my favorite hostels I have been to. The staff members are super friendly and very helpful. Rooms were clean. 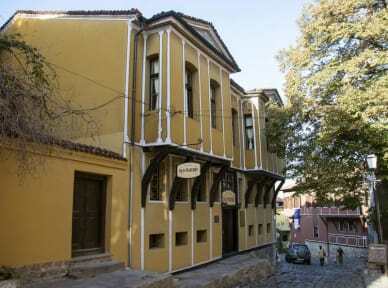 Hostel is located in Old Town and close to City Center. The common areas were very conducive to meet other travelers. I overall really enjoyed my stay at this hostel and recommend it whole-heartedly. Loved this hostel. In the middle of old town, it was like stepping back in time. Beautiful old building, friendly staff and warm atmosphere. Great hostel, lovely location, amazing staff. Firstly, the venue is absolutely incredible: old, beautiful and the area of the old town full of history, culture, art.. the only downside might be that it could be tricky to get up the stony road to the hostel with big suitcases or heavy bags. I’m not sure if the rooms had locks on the doors, but our room was never locked, however; lockers were provided. The staff are very helpful and friendly, and the room was spacious and good. I fell in love with Plovdiv and would return to this hostel 100%!